Esbit Alcohol Burner is a great backup fuel source with a convenient flame regulator to let you control or extinguish the flame with ease. 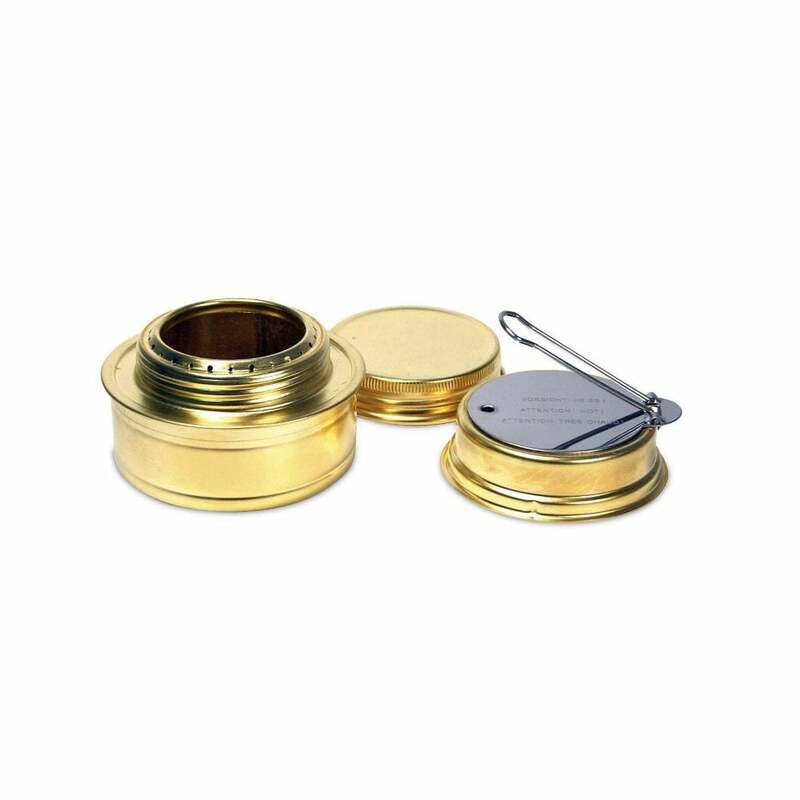 The screw top cap features a rubber gasket which allows you to store fuel directly in the alcohol burner for extended periods of time without leakage. Unlike petroleum fuels denatured alcohol is a renewable fuel (made from plant material). It`s vapors are non-explosive and it can be extinguished with water in an emergency making it safer than petroleum fuels. Another great feature of denatured alcohol is that it can be carried in virtually any plastic container making it very easy to transport and dispense. Weighs 92g, size 46mm x 2" x 3"
A handy little screw top alcohol burner for your adventure!